With the Bills win in the season finale and their 6-10 finish on the year also comes a 3rd place finish in the AFC East. With that finalizes their 2019 opponents, solidifying their two crossover games with the AFC South and AFC West. Meaning that the two teams that also finished in 3rd place in those divisions will round out their schedule for next year, the Tennessee Titans and the Denver Broncos, respectively. Of course, the order of these game won’t be released until mid-April, but it is never too early to start thinking about these games and trying to find our way to 10 wins and a playoff berth. Go Bills! 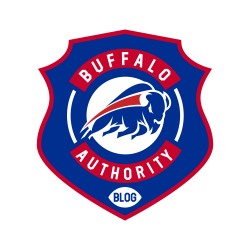 This entry was posted in Analysis and tagged Bills, Bills Blog, Buffalo Authority, Buffalo Authority Blog, Buffalo Bills, NFL Schedule. Bookmark the permalink.